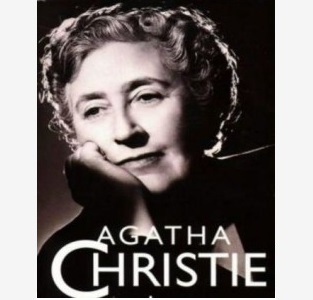 You will find all books by Agatha Christie yon the website englishstory.ru in English and in Russian. Agatha Christie is a very well-known woman writer. During her 86 years she wrote 78 detective stories, 150 short stories and 19 plays. Her books are published in 104 languages. They are sold in the third place after Shakespeare and the Bible. But what kind of person was she? If you ask yourself this question, read the biography of Agatha Christie and you will get to know some interesting fact about her life and literary career. Let us start with her character. It was strange that being so famous, she didn’t like it, on the contrary she avoided publicity and never gave speeches in public. By nature Agatha Christie was a very shy and reserved person and only close people could understand her complex personality. In her childhood Agatha Christie was kind of slow-witted and hardly could express her feelings. When her mother noticed this strange peculiarity of her daughter’s character, she tried to get her into music. It worked. She played the piano very well but for the same reason she would never become a professional pianist. Even small audiences made Christie freeze up when playing the piano. Growing older she didn’t change. The incident that happened to her at the age of 72 proves that fact. In 1962 she was invited to a party organized in her honor. It was the celebration of the 10th anniversary of her play “The Mousetrap”, which took place in London, in Savoy Hotel. But when the doorman, not knowing her personally, refused to let her in, Agatha Christie just sadly turned away and went home. As the guest of honor didn’t appear, the party was a failure. It is believed that Christie may have suffered from a chronic form of a mental disorder, called agoraphobia. This illness creates a great fear of public places. Christie was born in an upper class family at Torquay, Devonshire. All her childhood she spent in a large villa on the English seashore. She was very happy as a child. Little Agatha was allowed to do what she wanted and she often amazed family with her actions. Once, at a very young age, she persuaded her brother to go out to sea on a sailboat. At the age of 6, she climbed out the 4th floor window and walked along the foot-wide ledge. In 1911, at the age of 21, she went up in an airplane, which was a new invention for that time. Despite her public shyness, Agatha was adventurous and brave. Agatha got home education, which was common for the young women during the Victorian era. Agatha was a brilliant pupil, she demonstrated excellent abilities in mathematics, logic, and music. Later her mother sent her to Paris to take singing lessons. But Agatha didn’t have friends and was often lonely. Having nobody to speak to, she talked… to trees in her garden and the imaginary creatures who lived in it. When Agatha grew up and turned into a tall slim blonde. Young men found her very charming and she had had many admirers before she finally married. She started writing stories at a young age competing with her mother, who also had such a hobby. When Agatha’s father died at an early age, the family got into money difficulties. And Agatha thought that she would earn money for her family, writing books. She signed her first publishing contract at the age of 29. As a result she became a famous writer, who knows whether it would be possible in other circumstances. Agatha married Archie Christie in 1914 and took his last name. Twelve years she lived rather happily but in the year of 1926 the misfortune started. First Agatha’s mother died. Hardly could she recover from her grief, the same year her husband announced that he was going to divorce her and marry their mutual friend, Nancy Neele. Agatha went through a bitter divorce and, as a result, became very depressed and mentally exhausted. These two events influenced her greatly and soon after that she disappeared. Her car was found outside London and the police started searching the ponds for her body but 11 days later she was discovered staying at a hotel in the north of England, under the name of Teresa Neele. She said that she remembered nothing only that she had been in a car accident, though there was no any sign of damage to her car. The doctors suggested that she had an amnesia but everybody thought that it was a lie. The last name Neele that she had used in the hotel appeared on the front pages of every newspaper in England. It was the name of the woman that her husband wanted to marry. Christie didn’t like to remember that incident, and it only increased her hatred for the press for the rest of her life. Despite the divorce, Agatha Christie was still the center of attention with men. And, at the age of 40, Agatha married Macmillian Mallown, who was 15 years younger than she. This marriage appeared to be arranged in heaven. They were madly happy. Her second husband adored her and they spent almost every day together. He was an archeologist and Agatha followed him to Egypt and other countries, helping him to arrange artefacts and make excavations. She was very worried that she would probably die earlier and it really happened. He lived rather lonely till the end of his life. You still wonder why books by Agatha Christie have become so popular among many people of different nationalities? Here are some ideas. First of all, she had a genius for constructing complex plots. She had no difficulties to find ideas for her novels. On the contrary, she would have 5 different stories in mind at the same time, and it took her much effort to concentrate on one of them. Secondly, Christie had a genius to create her great detective Poirot in her first novel. He has became one of the most popular private detectives since Sherlock. He has an image of a funny little man, with an egghead and moustache. By the way, it is strange that Christie never mentioned his nation, his family and class. Agatha Christie became well-known in 1926 after the publishing of her novel «The murder of Roger Acroyd». It is still considered her masterpiece. She was very creative and wrote at least one novel a year for the rest of her life. When Christie got tired of Poirot, she invented Miss Marple, an old lady with her own method of investigation. The plots of her books always keep the reader in suspense because till the last page he cannot guess who the criminal is. Agatha Christie’s language is rather simple and language students are usually advised to read her books in the original. Now you know the biography of Agatha Christie. Let us start reading her stories, shall we? This entry was posted in Agatha Christie / Агата Кристи.